This is one of my favorite stamp sets. It is from Unity and it is called I am Unicorn. I love the beautiful unicorn and the sentiment is just fabulous. I made this birthday card for one of my best friends. 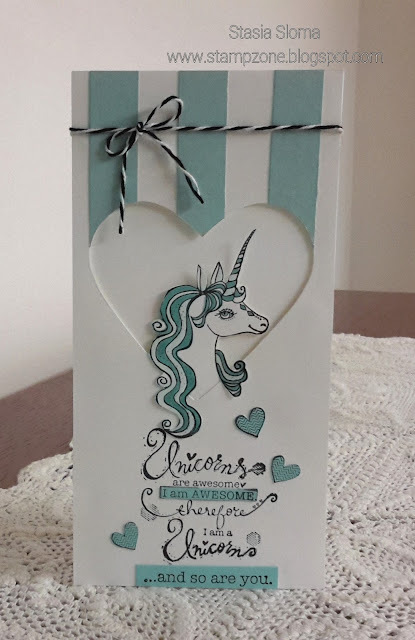 I colored in the unicorn with my Stampin' Blends. The colors used are Bermuda Bay, Pool Party and Soft Sky. The heart was diecut and then first whole layer was popped up with Stampin' Dimensionals to add dimension.